In the previous post we have learned about application of exposed aggregate concrete surfacing in different junctions of United Kingdom. In this post we will learn about regrooving method of restoration of concrete pavement. 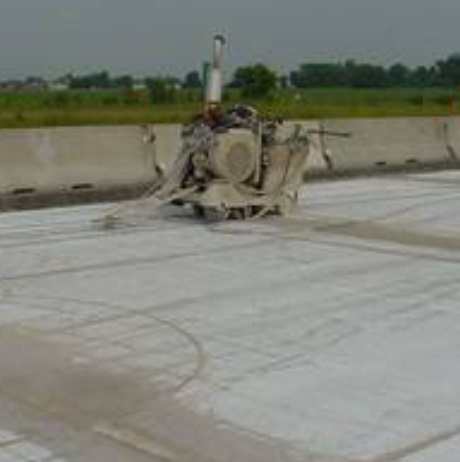 In this method we will not provide any overlay rather we will introduce a method of grinding and grooving of exiting concrete surface to reduce noise pollution and provide required skid resistance to avoid vehicular loss of control during rainy season or other unexpected situation that can lead to accidental hazard. They are serving for many years successfully. This method also adopted in United States for many years. 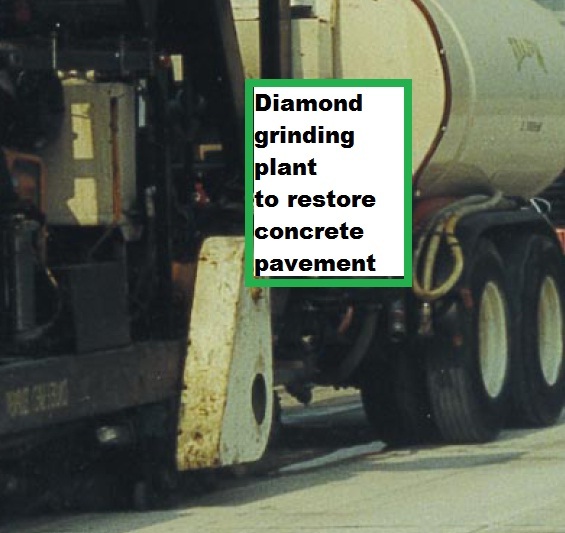 This method uses a plant that has diamond tipped blades to saw the existing concrete pavement. The blades are spaced closely to cut traction and drainage grooves on the existing concrete pavement. The results of application of this machine are closely spaced texturing grooves. This grinding with diamond tipped saw leave a high level surface texture that provides skid resistance to the restored pavement. Now question is-can these grinding results structural failure of concrete pavements?. It is good news for engineers that this grinding application can be used three times in separate period’s interval without hampering structural performance. This method is proved economical as it can be provided only at the half cost of asphalt overlaying on concrete pavement. Regarding longevity, the life span of this grinded concrete surface may be 17 years without interrupting normal traffic flow for repairing or resurfacing effort. We know asphalt overlay can hardly be used after (8-12) years.